Follow Dr. Cliff Pickover on Twitter. Return to Pickover's main web page. Information on Pickover's other books. "I conceived, developed and applied in many areas a new geometry of nature, which finds order in chaotic shapes and processes. It grew without a name until 1975, when I coined a new word to denote it, fractal geometry, from the Latin word for irregular and broken up, fractus. 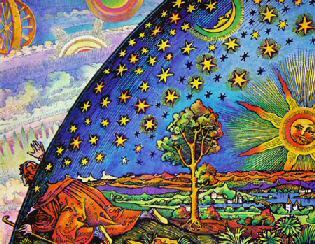 Today you might say that, until fractal geometry became organized, my life had followed a fractal orbit." This book features a groundbreaking 3D showcase, offering a rare glimpse into the dazzling world of computer-generated fractal art. 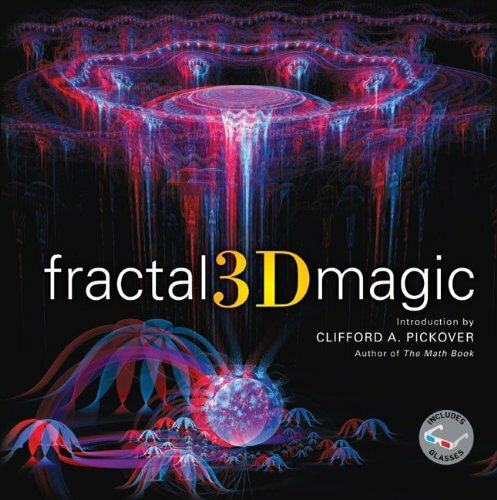 Prolific polymath Clifford Pickover introduces the collection, which provides background on everything from the classic Mandelbrot set, to the infinitely porous Menger Sponge, to ethereal fractal flames. The following eye-popping gallery displays mathematical formulas transformed into stunning computer-generated 3D anaglyphs. More than 200 intricate designs, visible in three dimensions thanks to the enclosed 3D glasses, will engross math and optical illusions enthusiasts alike. "Pickover contemplates realms beyond our known reality." "Pickover inspires a new generation of da Vincis to build unknown flying machines and create new Mona Lisas." 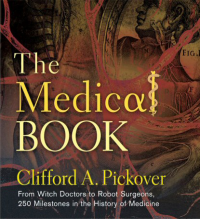 Clifford A. Pickover is a prolific author, having published more than forty books, translated into over a dozen languages, on topics ranging from science and mathematics to religion, art, and history. He received his PhD from Yale University's Department of Molecular Biophysics and Biochemistry, holds over 200 U.S. patents, and is an associate editor for several scientific journals. His research has received considerable attention from media outlets ranging from CNN and WIRED to The New York Times, and his website, www.pickover.com, has received millions of visits. He has over 11,000 Twitter followers who enjoy his daily tweets. Pickover has been elected a Fellow for the Committee for Skeptical Inquiry for his "significant contributions to the general public's understanding of science, reason, and critical inquiry through scholarship, writing, and work in the media." Other Fellows have included Carl Sagan and Isaac Asimov. On the Mandelbrot Set: "There is nothing more to this than a simple iterative formula. It is so simple that most children can program their home computers to produce the Mandelbrot set. ... Its astounding complication was completely out of proportion with what I was expecting. Here is the curious thing: the first night I saw the set, it was just wild. The second night, I became used to it. After a few nights, I became familiar with it. It was as if somehow I had seen it before. Of course I hadn't. No one had seen it. No one had described it. The fact that a certain aspect of its mathematical nature remains mysterious, despite hundreds of brilliant people working on it, is the icing on the cake to me." "My primary interest is finding new ways to continually expand creativity by melding art, science, mathematics and other seemingly disparate areas of human endeavor. I seek not only to expand the mind, but to shatter it." Return to Cliff Pickover's main web page. 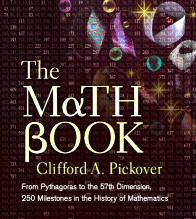 Information on Cliff's other books is here.